Summer is right around the corner, which means vacation planning is in full swing! Our family loves to get out and see places. We've done a bit of airplane travel, but really, road trips are such a great way to explore and discover things that are new to us. On top of our vacationing road trips, we've always spent plenty of time in the car driving to visit friends and family who we want to see far more often than we do. It's crazy how road trip essentials change drastically based on the stage of life you're in. When we were first married, my husband and I pretty much required music and snacks. Our next season was babies. I can't even begin to list out all the things listed on our road trip essentials list when Haiden and Piper were little. 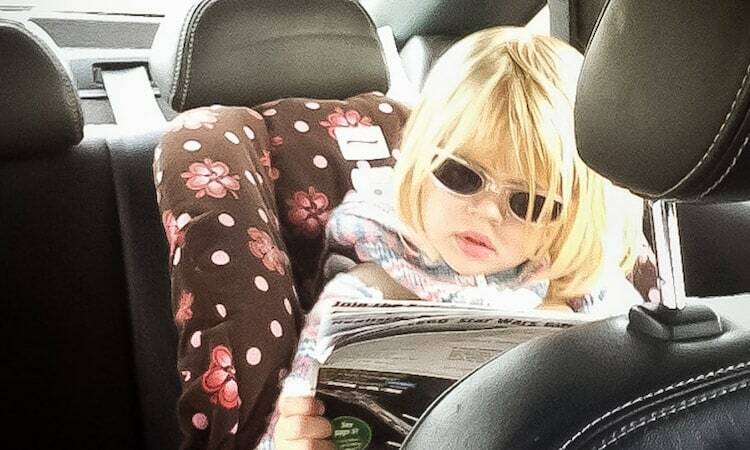 Road trip essentials for toddlers can be overwhelming. You know you're at maximum capacity when you've stashed a tiny toilet in the backseat for your potty training toddler! Now that Haiden and Piper are 8 and 9, our road trip essentials are back to being on the simpler side. Not only do we know what keeps them happy, they can tell us what they want to bring along. 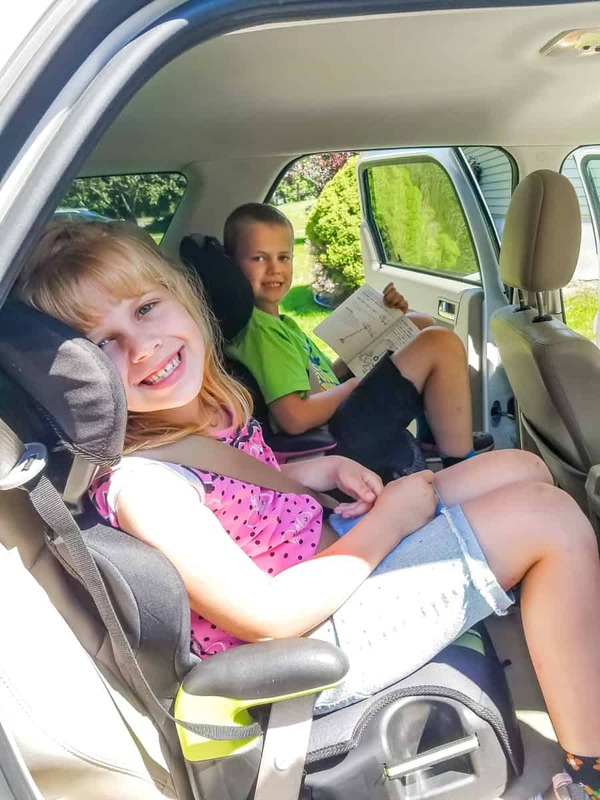 Of course, our kids' opinion of “road trip essentials” varies from my version of essential items, but in this case, we have the same goal: stay happy and entertained for a fun family road trip! 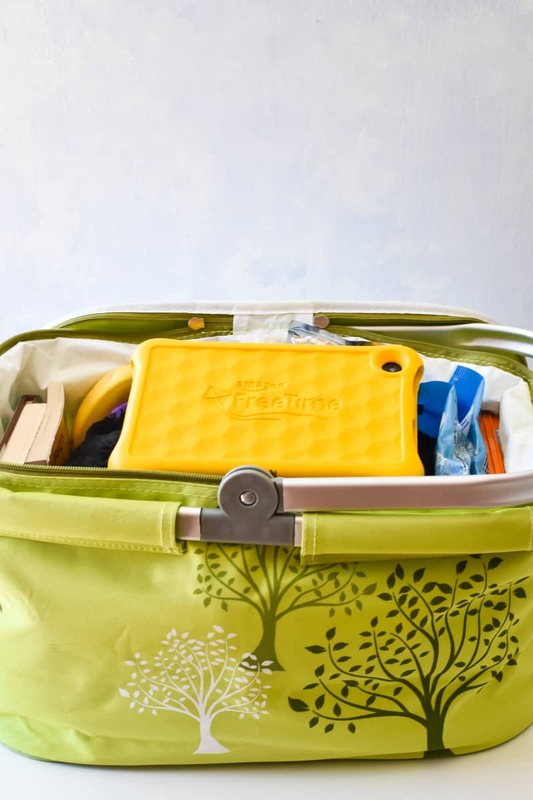 As you can see, there are a handful of items that obviously make road trips less stressful and more fun, especially if you put the basket in the backseat where kids can grab what they need! A soft pillow. Bonus if it can double as a cute stuffed animal! 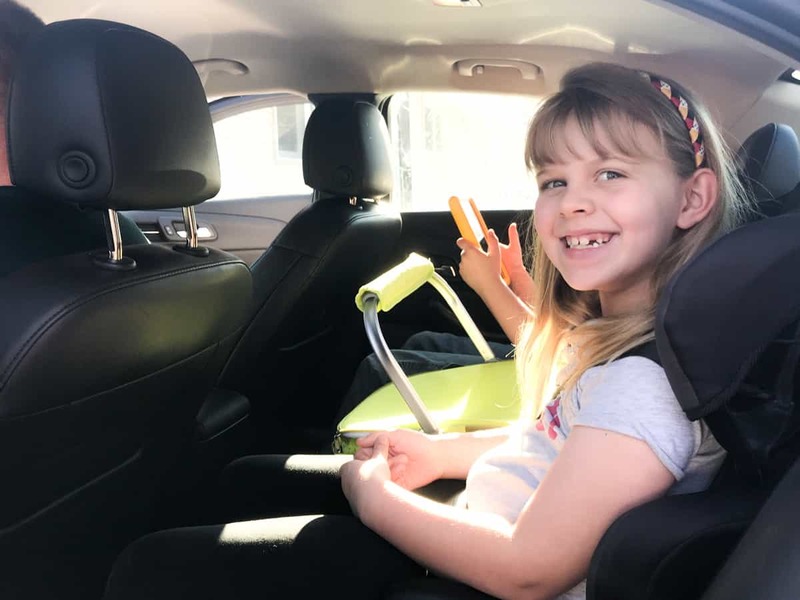 Since the goal of our road trip is to keep the kiddos entertained, we know that technology is an asset we don't want to leave at home. 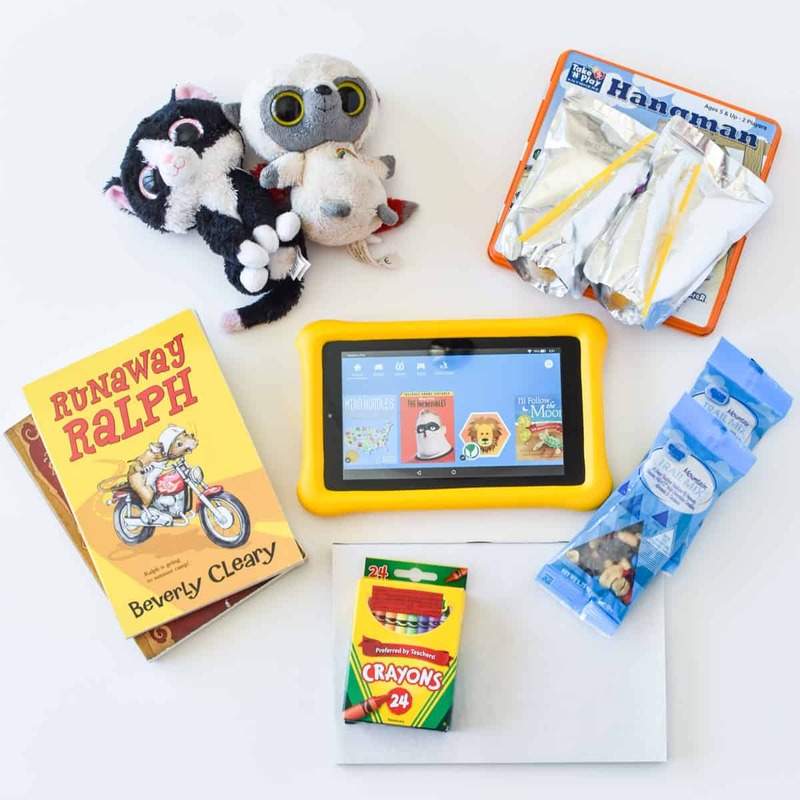 An Amazon Fire Kid Edition tablet is the perfect tech to complete our list of road trip essentials for kids! 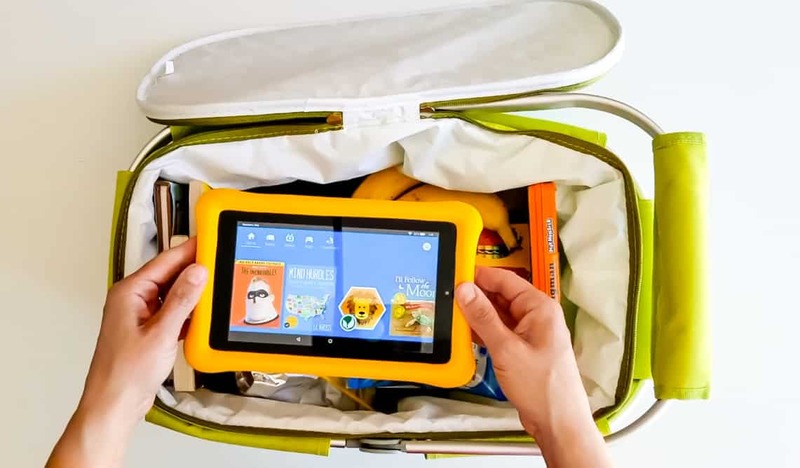 The Fire HD 8 Kids Edition tablet has an 8″ display, 32 GB of storage and a kid-proof case. 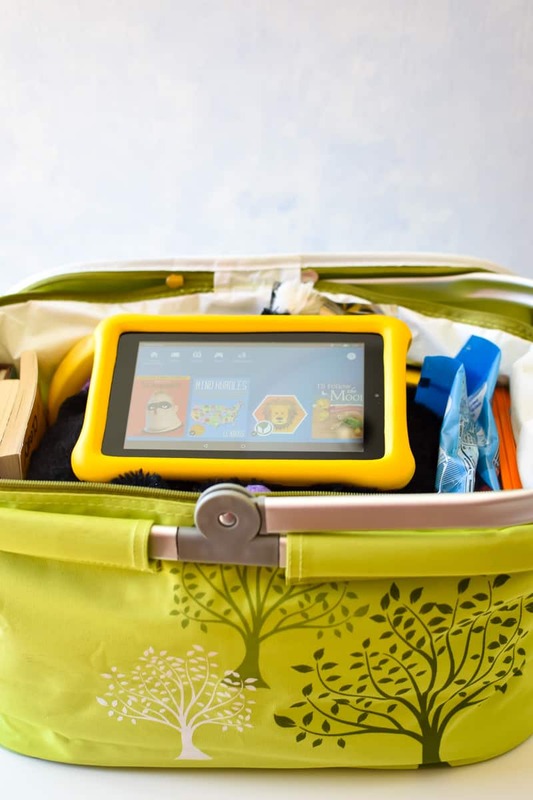 The Fire 7 Kids Edition tablet has a 7″ display, 16 GB of storage and a kid-proof case. 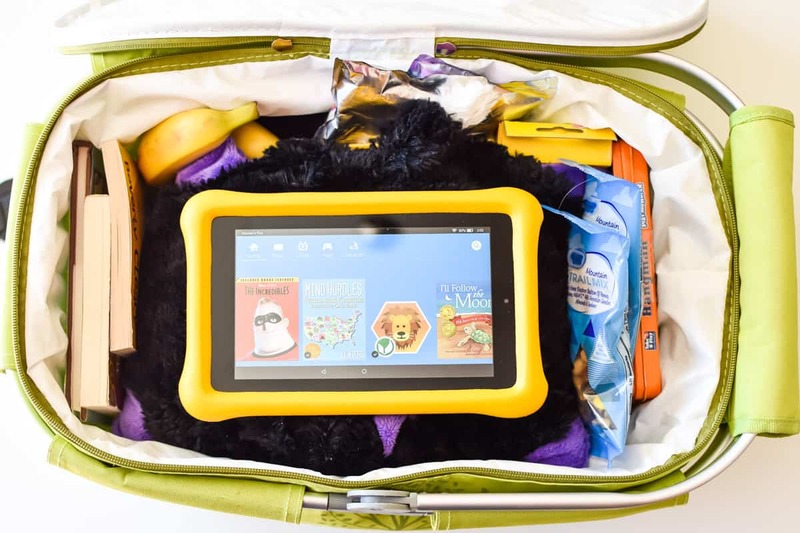 Why bring the Amazon Fire Kids Edition tablet on a road trip? I don't have to tell you all the reasons why tablets are great for kids (reading, watching movies, playing games and doing activities all on one device. Enough said! ), but I do have specific reasons why an Amazon Fire Kids Edition tablet is the best choice for my kids to use, especially on road trips. This tablet has flexible parental controls. These are so helpful when I literally can't look over my child's shoulder while she's using it. You can easily control app usage and set timing limits from the tablet OR from where you access your Amazon account. You can even set educational goals and get detailed information on how it's being used. 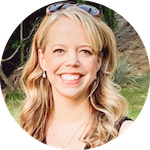 You can create a separate profile for each child. Both Haiden and Piper can have completely separate profiles on our Amazon Fire 7 Kids Edition tablet. Honestly, my kids are really great about sharing with each other. But I love that they each can access their ebooks, watch their own movies and play their games without someone else interfering with their progress, losing bookmarks or jumping ahead. The Amazon Fire Kids Edition tablets include a year of Amazon's FreeTime Unlimited. Amazon FreeTime Unlimited gives us access to more than 15,000 apps, games, videos, books and educational content. It also includes a kid-safe browser that keeps kids from going on social media and provides a friendly and safe browsing experience. I don't have to tell you that there's a lot of bad stuff online. I welcome the idea that the device itself is helping keep my kids away from it. I was looking for a list of essentials for road trip with my kids. thanks for sharing this post. wow!! 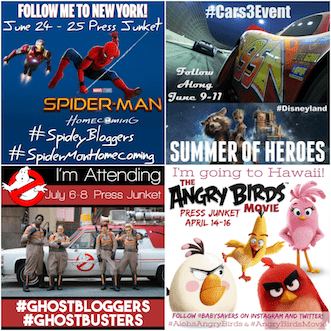 that’s really a great and informative post regarding road trips. Thank you so much for sharing.